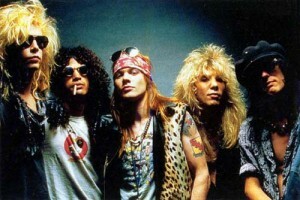 Comments Off on And the 2012 Rock and Roll Hall of Fame Nominees Are…. For those of you who didn’t know, In order to be eligible for nomination, an individual artist or band must have released its first single or album at least 25 years prior to the year of nomination. The 2012 Nominees had to release their first recording no later than 1986. Undoubtedly the most exciting part of this class of nominees is the possibility of reunions. While some of the most famous disbanded acts in rock’s history such as Led Zeppelin and the Talking Heads managed to set aside differences for one night. Who knows if the Chili Peppers will bring back John Frusciante just for one show in order for him to rightfully be rewarded for the countless amount of incredible songs that he has provided to the music world. But The biggest question this year is whether sole remaining Guns member Axl Rose will make nice with his estranged former bandmates should the group make it into the Hall of Fame. GNR hasn’t played with their orginal lineup since 1996. Let’s just hope that if a reunion does happen, Slash and Axl can make it through “Sweet Child O’ Mine” without ripping each others heads off.